Today, we were lucky enough to have 5 Questions with one of the newest members of "Team Schumacher" on his "Road to Houston." We'll have a few more of these features as we lead up to the big day on January 14, 2012. Brent Vaughn has had quite a year. 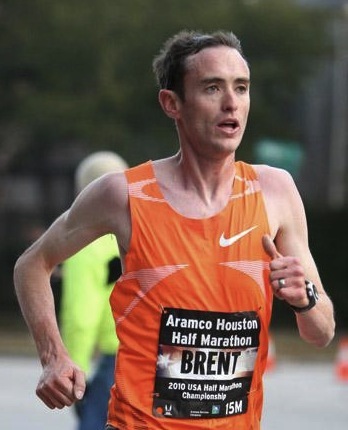 From dropping out of the Houston Half Marathon to bouncing back and winning the USATF Cross Country individual title to moving to Portland to train under a new coach, he's been busy. The trials will be his debut at the Marathon and he's ready to compete for a spot on the team. Follow him on Twitter here. 1. Writing About Running: You had an excellent collegiate (and post-grad) career at Colorado. Now you are in Portland with the Schumacher group. 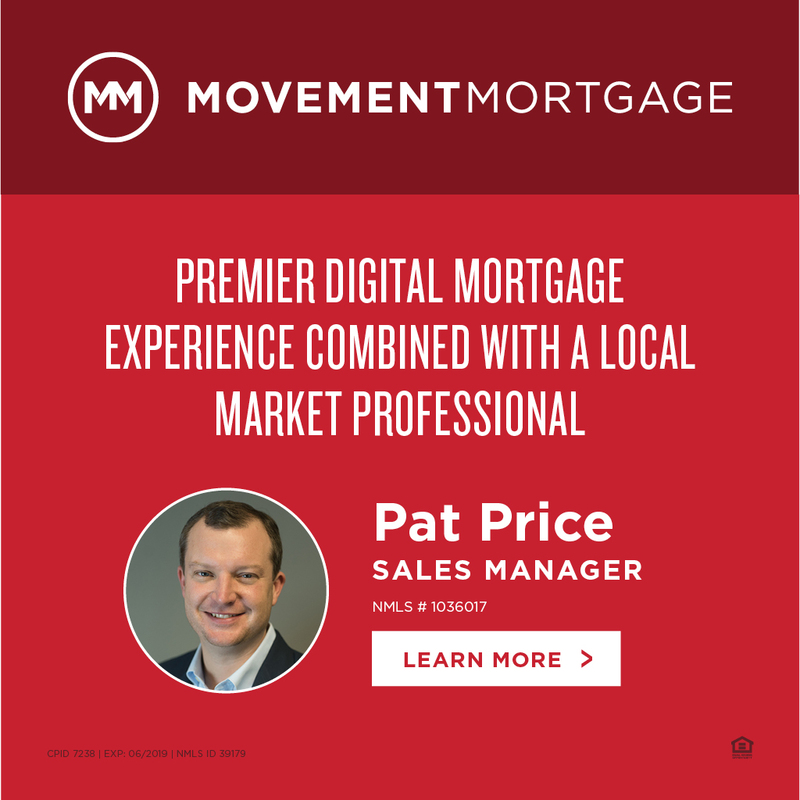 How has the transition been? Brent Vaughn: The transition has been great. I have been fortunate enough to have had great coaches coming in who I believe prepared me for increased training volume and intensity when I got to Portland. 2. 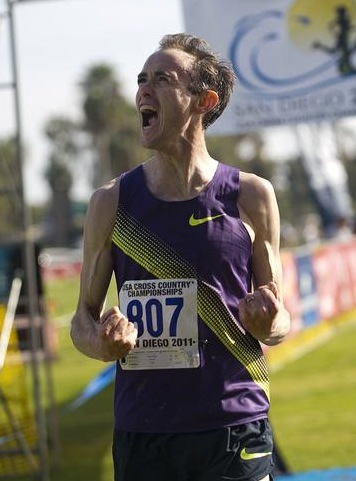 Writing About Running: Winning the USATF Cross Country Championship had to be a highlight from 2011. What did you take away from that race? Brent Vaughn: Winning cross gave me a lot of confidence. I hadn't had a whole lot of success from the previous years coming into the race and I needed that confidence boost heading into the olympic year. 3. Writing About Running: Your 13:18 at the 5000 to break the University of Colorado record was another big race for you. Aside from this and the Cross title, what's another race you have been most proud of? Brent Vaughn: I think my breakthrough performance in college was NCAA cross in 2004. I finished fourth overall and helped our team to upset Wisconsin to win the cross title as a team. That race turned my college career around. 4. 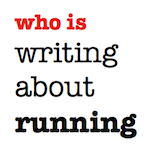 Writing About Running: You ran your debut in the Half Marathon in Houston (in 2010 in 62:04). The trials will be your debut it the Marathon. What is your goal? Brent Vaughn: My goal at the trials is to make the team. I think thats the reason I'm running. 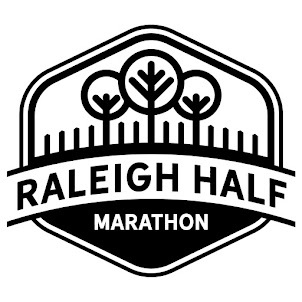 Training has gone very well and I think strange things sometimes happen over the marathon distance and much stranger things than me making that team have happened before at the marathon distance. 5. 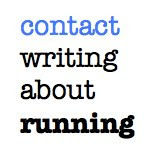 Writing About Running: After the trials, what are your plans? Are you going to defend your cross country title in February (in St. Louis)? 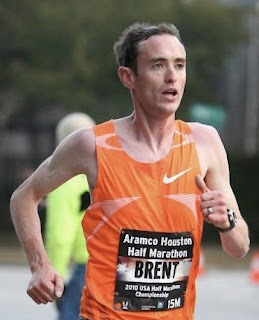 Brent Vaughn: I hope that I am recovering and gearing up for the Olympic Marathon in August. I'll have to see how quickly I recover from the race and decide what makes sense going forward.